Le Tote has been my secret tool to seriously improving my office-wear style in a short time and on a small budget. If you don't have a full wardrobe of work-appropriate stylish clothing, Le Tote is an amazing service to getting a leg up in a quick and hassle-free way. Yes, dropping $50 isn't something most of us do without a little research! Now that I've had experience as their customer (over 3 years), I am happy to share the "Real Deal." Here are my thoughts on the good, the bad, and the ugly about Le Tote! If you read and think Le Tote is right for you, and you purchase through one of my links, I get a small kick-back which helps me keep the blog going strong, and you get your first box FREE! For the one monthly price, I was able to comfortably receive and enjoy 4 total shipments, so that works out to 12 clothing items and 8 pieces of jewelry. (Each box containing 3 clothing items and 2 pieces of jewelry). They also have even less expensive versions which have less items. All the items could be mixed and matched. By using these as supplements to the clothes I already have, each box gave me 3 great outfits, which basically gets a girl through the week. There was one shipment I didn't like. In one particular box I received, one of the necklaces was just way too over-sized (unfortunately their pic didn't give a sense of scale), and for some reason they sent me all black clothing items despite the many colorful things I had placed a heart on. But now, they give you the opportunity to swap clothes out before you receive them to ensure you get items you're interested in. If you fall in love with something, you'll have a $10 purchase credit. Is LeTote WORTH IT? Is it LEGIT? Ask yourself these three questions. . .
1. 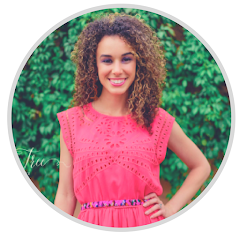 LeTote is an upscale clothing rental service. Will you be all dressed up with no place to go? LeTote has an amazing selection of chic work-appropriate attire for women in their mid-to-late 20's+ age group. My workplace is not entirely formal, and because I work in marketing I am able to be a little creative. In short, it is the perfect fit for my lifestyle and daily needs. 2. Is your style set in stone, or are you willing to try new things? I would say my style is about midway developed. I don't need total hand-holding but I lack a full core office wardrobe, and can't afford to make big purchase mistakes. LeTote allows me to try new things with no worries. I can experiment, if it's not wonderful I can shrug it off and send it back. LeTote is perfect for someone at my stage, who doesn't mind going sending back clothes after they're used. If your style isn't developed, I highly recommend Stitch Fix for you as a cheaper way to experiment with clothes, however it isn't a rental service. It's a wonderfully styled box of items just for you based on your Pinterest account or the profile you set up, and you can use the "styling fee" toward anything in the box you want to buy. They even pair outfits on cute little cards for you. Seriously! 3. What is your discretionary income? This one seems obvious, but. . . Do you have $50 per month to spend on something fun for you? That's about $12 per week. Can you do that comfortably? If not, maybe a service like this isn't right for you at this moment. You could probably afford one of their less expensive options. 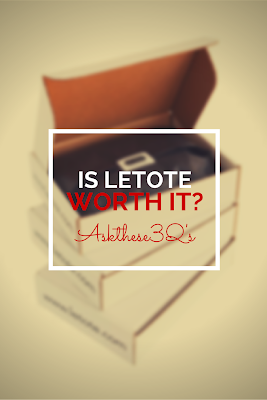 If you've answered the above questions and feel like LeTote is right for you, then please accept my invitation! I'm happy to have helped and am glad to have you in on this awesome little secret of a service: Get LeTote Now! When you sign up through my link, you get your first box FREE! I review only products that I truly believe in, and I don’t accept free products in exchange for a review! My blog cause earns a small commission if you make a purchase through one of my links.